A few weeks ago I was invited to a Mommy & Daughter weekend in Avalon, NJ sponsored by Jakks Pacific and The Party Planning Professor, Elizabeth Norton. In the midst of the winter blahs and desperately needing a change of scenery I jumped on the opportunity to road trip with my little girl. We hopped in “Quick Silver” (that is the name of our mini-van..we name all of our cars) and headed to the Garden State with my friend Kelly, from The Centsible Life and her little girls. Elizabeth, is the go to source for all things Cape May County and made arrangements for us to stay at The Golden Inn in Avalon. I know you are thinking… the shore? In November? Say What?, but there were lots of great activities going on all weekend in Avalon and Stone Harbor…lots of FREE activities. Kelly, the kid’s and I strolled the streets of Stone Harbor and enjoyed carolers and characters walking around, crafts and merchant hospitality. We also spent some time on the beach. The Golden Inn is a perfect family friendly place to stay while visiting Avalon. There is a lovely pillow top mattress on each guest bed and you can’t beat the location to the beach…It is ON the beach! In the summer there is a walk up beach bar…pretty cool! Click here for information on super fun Girls Only Weekends throughout the spring. On Sunday afternoon, Elizabeth hosted a Cabbage Patch Kid’s Party. 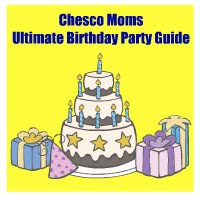 This chic knows how to throw a par-tay! She went all out. 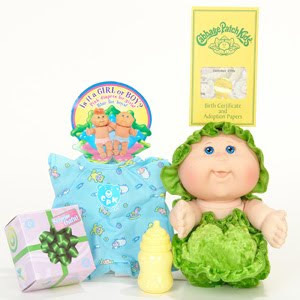 She had the party room all decked out in Cabbage Patch green. I think I was just as happy as my little girl was for this party. We opened the door, were greeted by Dr. Elizabeth and Nurse Jenn. The girls all walked walked the green carpet and then took a seat in “the cabbage patch” as Dr. Elizabeth read a Cabbage Patch story to the kid’s while the moms chatted and exchanged 1980’a Cabbage Patch memories. When story time was over Dr. Elizabeth let each girl journey to “Babyland General” to choose their very own doll. My little one chose the Pop n Style (which, I can’t say with out singing “Pop it, lock it, polka dot it). The Pop n Style doll comes with 3 hair pieces that “POP” into place, giving your doll with a short hair style long hair or a doll with straight hair curly hair. I love that Cabbage Patch Kid’s hair has evolved over the years. I always wanted to brush and play with my CPK’s hair growing up, but since it was yarn I couldn’t. After all of the girls had picked out their dolls, they repeated the Cabbage Patch Kid Adoption oath and officially adopted them. John Allison, The General Manager of The Golden Inn served as the witness of adoption and signed each girls paperwork.. what a good sport! My favorite part of the party was when my daughter took her new Cabbage Patch Kid out of the box, the brand spankin‘ new CPK smell took me back to my CPK days. That smell is one of my very favorite smells. It was so fun to share the CPK experience with my little girl. My daughter turns 5 in a few months and we have been thinking of recreating the Cabbage Patch Kid Party that Elizabeth planned.. it was THAT much fun! Thank You Elizabeth and everyone at The Golden Inn, Avalon for a lovely weekend! Disclaimer…Although I was not paid to attend this event, I received free accommodations at The Golden Inn and a free doll for my child.